With the takeover of the plough factory from Vogel & Noot, Amazone has further expanded its range of ploughs. The new Cayros mounted reversible ploughs, in their green-orange colour, will be shown for the first time at the up-coming LAMMA Show at Peterborough on January 18th & 19th. 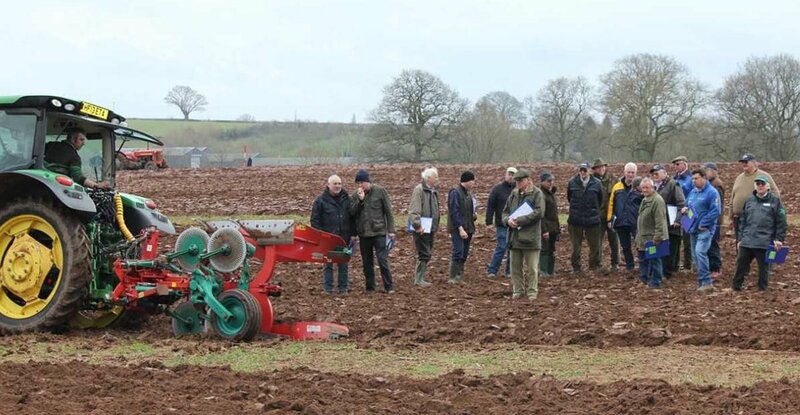 In this way, Amazone has now brought – in addition to the existing Cayron series – five further models of mounted reversible plough in different sizes and designs into its programme. The smallest Cayros M series includes three to four furrow ploughs for tractors up to 120 HP. Cayros M ploughs feature a beam clearance of 78 cm and interbody clearances of 95 and 102 cm. The beam measures 120 x 100 x 8 mm and features a turnover shaft diameter of 80 mm on models with stepless furrow width adjustment and, for the hydraulic stone release ploughs, an increase to 90 mm. Then, going up in size, the Cayros XM, XMS and XS ranges, for tractors of up to 140 HP, 200 HP and 260 HP respectively, offer stronger components still. The top of the range model ploughs are represented by the Cayros XS pro with interbody clearances of up to 105 cm and a beam clearance of up to 90 cm. These ploughs feature a strong 200 x 150 x 10 mm beam and a turnover shaft 120 mm in diameter. This series includes three types with four to six furrows for tractors up to 380 HP. They have been designed specifically as high per-formance ploughs for large estates or contractor operation. All the series offer a vast variety of equipment, meaning that the new ploughs can be equipped optionally with a mechanical or with a hydraulic furrow width adjustment. For stone protection, a mechanical, a half-automatic coil spring or a fully automatic hydraulic version is available. In addition Amazone offers five different plough bodies including a slatted mouldboard. One of the specific quality characteristics of the Cayros ploughs is the heat treatment for the mouldboards using the ©plus hardening process. This heat treatment results in prolonged longevity, high impact strength, less pulling power requirement and so reduced fuel consumption.